When banking regulators issued new guidance around incentive compensation paid by banks, these processes were in the spotlight. Zions Bancorporation responded by embracing a more transparent approach to compensation management that helps it to boost efficiency and drive performance, while continuing to fulfill its regulatory obligations. Following the global financial crisis, banks’ incentive compensation plans came under greater scrutiny than ever before, so institutions looked for ways to better meet the increased expectations. Zions Bancorporation seized control of incentive compensation management with a cloud-based IBM solution, enabling a detailed audit trail, defined workflows, reporting and dashboards. In the wake of the global financial crisis, new regulatory obligations were drawn up to help prevent a similar situation from ever arising again. One example is the guidance issued by banking regulators around incentive compensation plans, which requires banks to have practices and arrangements that do not encourage unnecessary and excessive risk-taking. Zions Bancorporation operates as a collection of eight division banks, each with their own brand and operations. Each bank had a unique approach to incentive compensation management. To underpin a more standardized and transparent approach to incentive compensation payments across its banks, Zions Bancorporation selected IBM® Incentive Compensation Management, and engaged IBM Gold Business Partner OpenSymmetry to help with the roll-out. 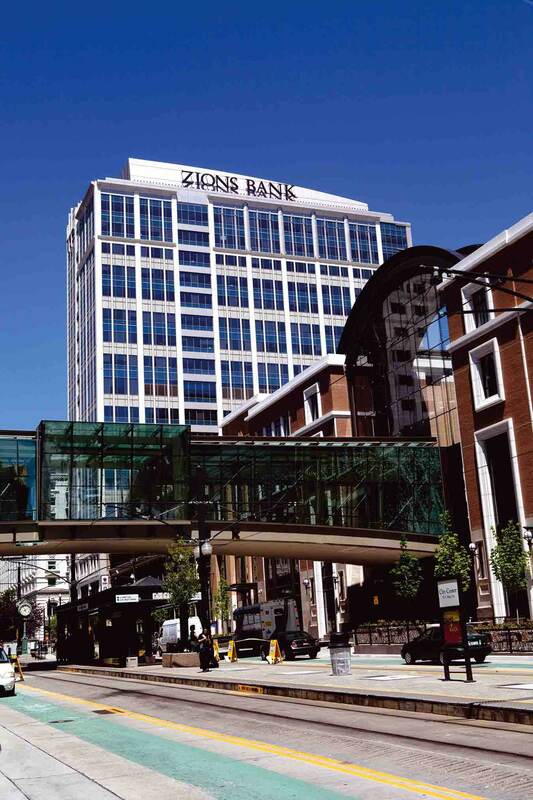 Zions Bancorporation began by re-building approximately 100 plans covered by the new regulatory guidance within IBM Incentive Compensation Management. Feedback from the payroll department was so positive that the company extended the solution to all its incentive compensation plans. Equipped with a detailed audit trail for compensation payments, Zions Bancorporation can efficiently and comprehensively fulfill regulatory requirements. Zions Bancorporation has also succeeded in boosting efficiency, reducing the time and costs associated with managing compensation managements and payments. Going forward, Zions Bancorporation plans to put the new insights it has gained into compensation management to greater use. The company expects that more coherent data sets will allow it to develop a deeper understanding of what works best to drive appropriate performance and support the company’s culture of compliance and customer service. Zions Bancorporation is one of the United States’ premier financial services companies, with total assets exceeding USD 60 billion. It operates under local management teams and distinct brands in 11 western states: Arizona, California, Colorado, Idaho, Nevada, New Mexico, Oregon, Texas, Utah, Washington and Wyoming. © Copyright IBM Corporation 2017. 1 New Orchard Road, Armonk, NY 10504. Produced in the United States of America, August 2017. IBM, the IBM logo, ibm.com, and Watson Analytics are trademarks of International Business Machines Corp., registered in many jurisdictions worldwide. Other product and service names might be trademarks of IBM or other companies. A current list of IBM trademarks is available on the web at “Copyright and trademark information” at ibm.com/legal/copytrade.shtml. This document is current as of the initial date of publication and may be changed by IBM at any time. Not all offerings are available in every country in which IBM operates. The client examples cited are presented for illustrative purposes only. Actual performance results may vary depending on specific configurations and operating conditions. THE INFORMATION IN THIS DOCUMENT IS PROVIDED “AS IS” WITHOUT ANY WARRANTY, EXPRESS OR IMPLIED, INCLUDING WITHOUT ANY WARRANTIES OF MERCHANTABILITY, FITNESS FOR A PARTICULAR PURPOSE AND ANY WARRANTY OR CONDITION OF NON-INFRINGEMENT. IBM products are warranted according to the terms and conditions of the agreements under which they are provided. The client is responsible for ensuring compliance with laws and regulations applicable to it. IBM does not provide legal advice or represent or warrant that its services or products will ensure that the client is in compliance with any law or regulation.